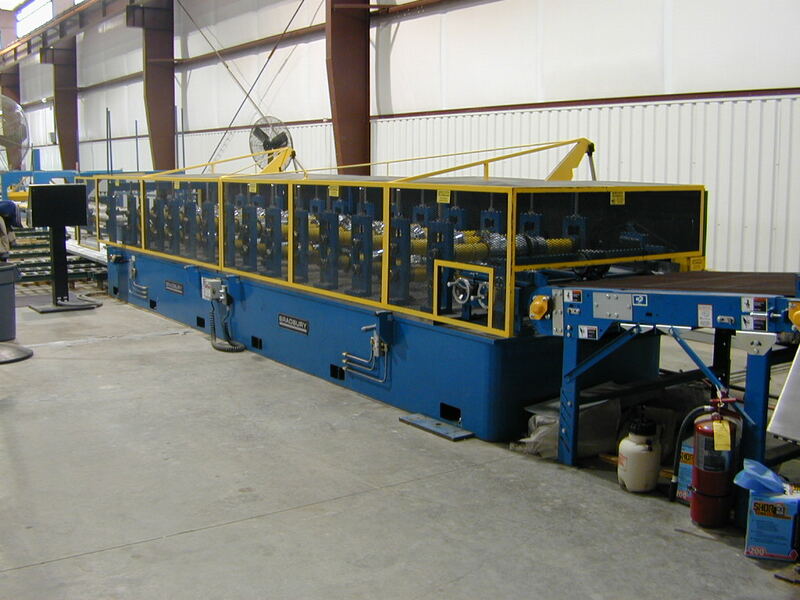 Did you know The Bradbury Co., Inc. has trade-in equipment for sale? Visit Bradbury's used equipment page to see the entire list of trade-in equipment available. Call +1.620.345.6394 for more details and pricing information! Our in-stock equipment program offers new equipment with shorter delivery times. The stocking program includes the following equipment: TS12 uncoiler, TS12 Coil Car, Coil Tipper, Slit Cut-to-Length Panther Cub II, Tension Stand & Recoiler, 21ft x 18 gauge CNC Trim Folder, Half Round Gutter Machine, Single Level Ag Roll Former with Drop Table, Dual Ag & R Panel Roll Former with Drop Table, Transition Notch press, and Ridge Cap Benders. Subject to availability. To receive instant notification from our Group News regarding used equipment additions make sure your email subscription notifications are set to instant! Call +1.620.345.6394 to learn more or contact us via the button below. Copyright 2014 by The Bradbury Co., Inc.